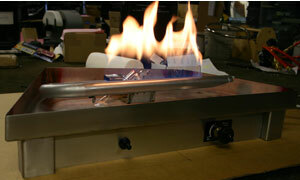 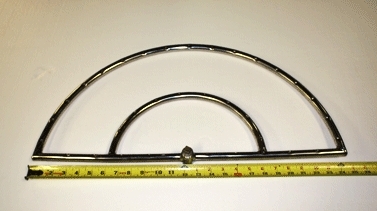 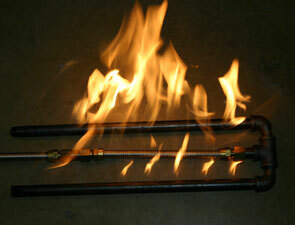 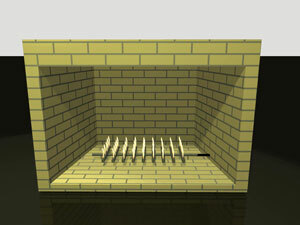 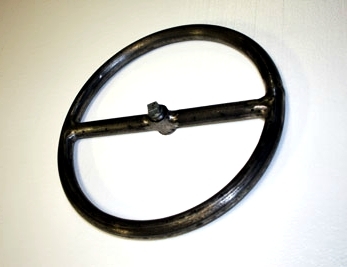 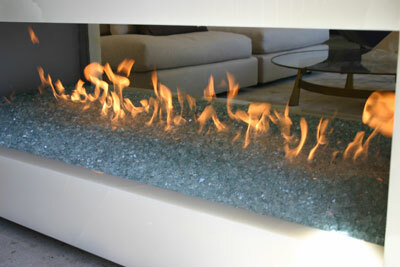 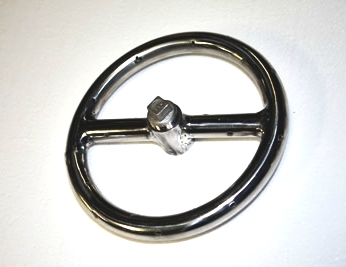 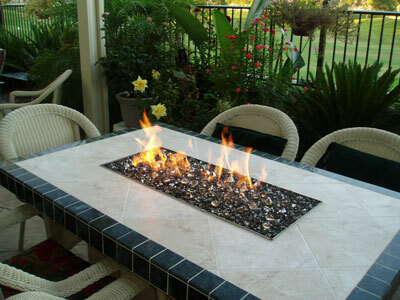 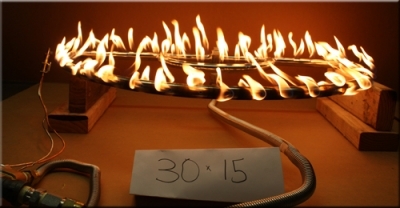 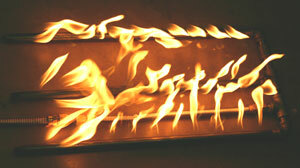 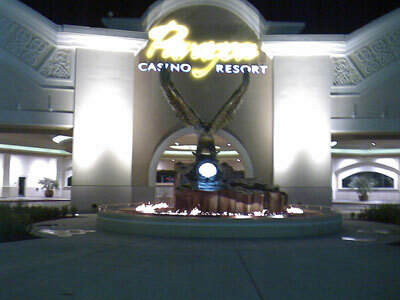 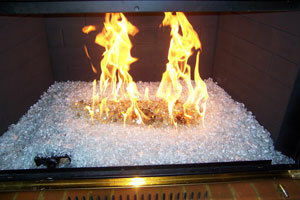 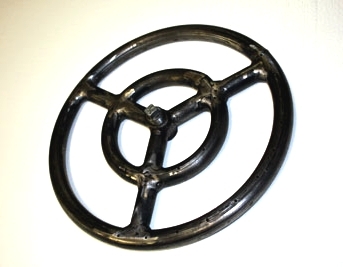 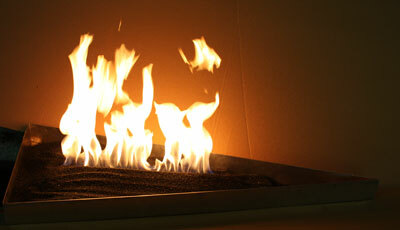 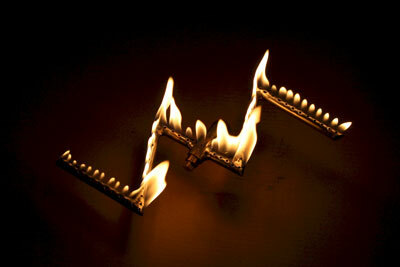 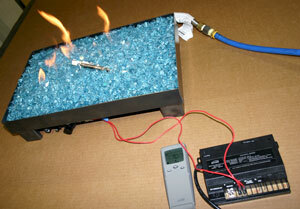 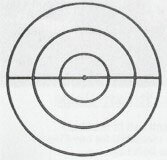 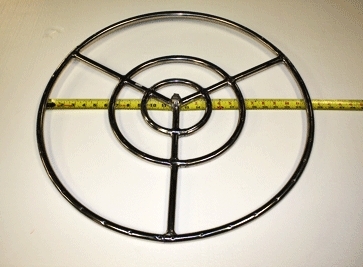 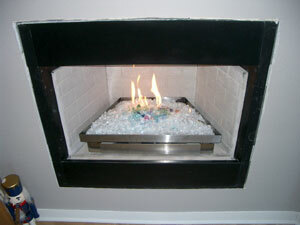 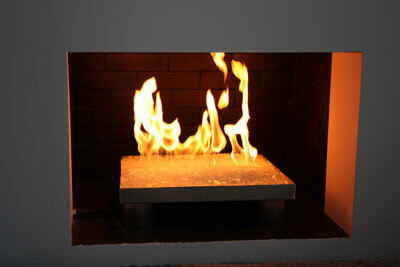 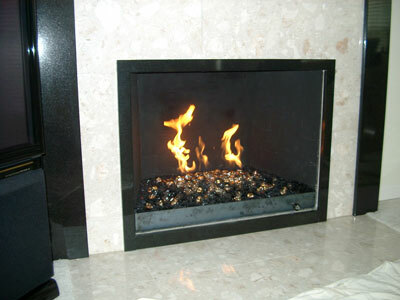 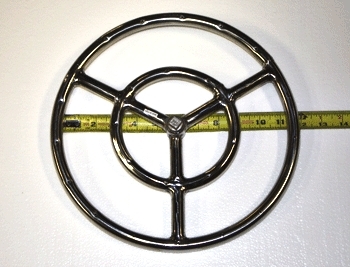 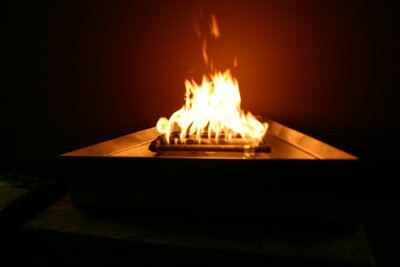 U-Shape Burner may be used for standard Fireplaces. 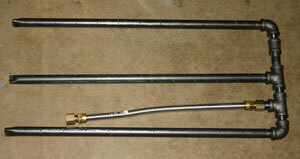 They consist of 2 pipes which are available in both steel (for indoors) and stainless steel (for outdoor use). 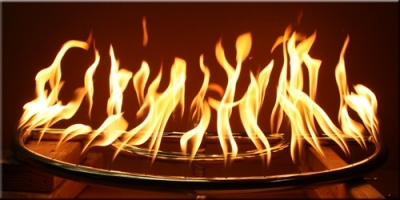 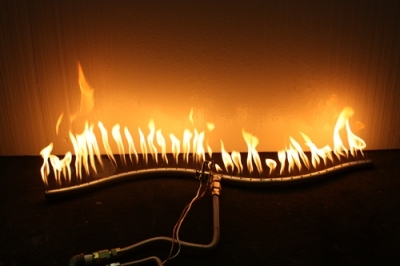 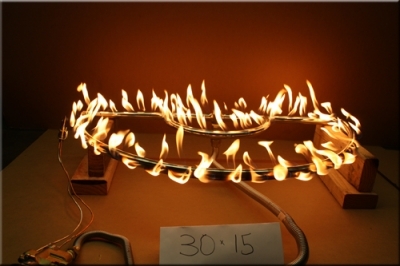 Over 36” you could need an “H Burner"
The lit double half round is being tested for an outdoor propane fire pit - 100,00 btu's with Copreci valve and air mixer to ensure a clean burn with FireGlass.